Be the first to know – “General Contact” has just launched! 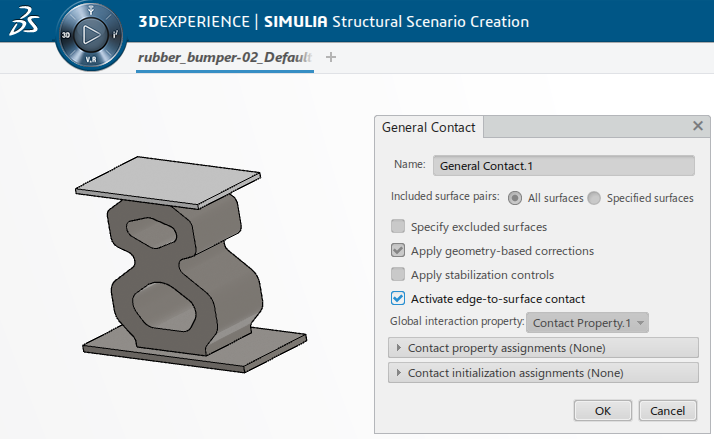 You may know that SOLIDWORKS just launched a new product on the 3DEXPERIENCE Platform: Structural Simulation Engineer. What is Structural Simulation Engineer? It is a Finite Element Analysis or structural analysis software application powered by Abaqus, the best non-linear solver on the market. 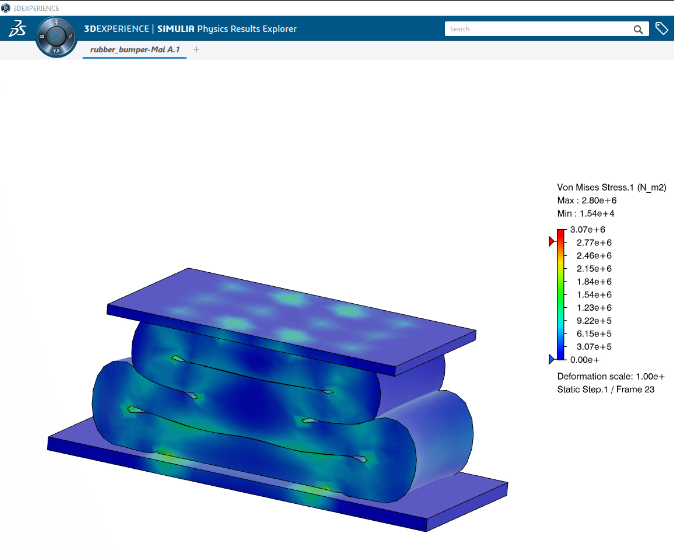 Structural Simulation Engineer expands SOLIDWORKS Simulation capabilities to more advanced nonlinear solutions: large deformation & large strain, robust contact, a wide range of non-linear material models, quad and hex meshing and cloud computing. Among many exciting features about this product, one of my favorites is General Contact. General Contact allows users to define contact between all or multiple regions of a model. The software recognizes those components that mate as a single interaction where anything can hit anything. As a result, it will automatically determine and enforce contact compatibility between components. Figure 1 illustrates how the interaction between 3 parts are treated as a single contact domain. Figure 2 shows General Contact being automatically created when model is imported from SOLIDWORKS into Structural Simulation Engineer. All contact pairs between components are treated as one single contact domain. By contrast, without General contact, you would need to define multiple Contact Pairs to specify what would hit and where as illustrated in Figure 3. 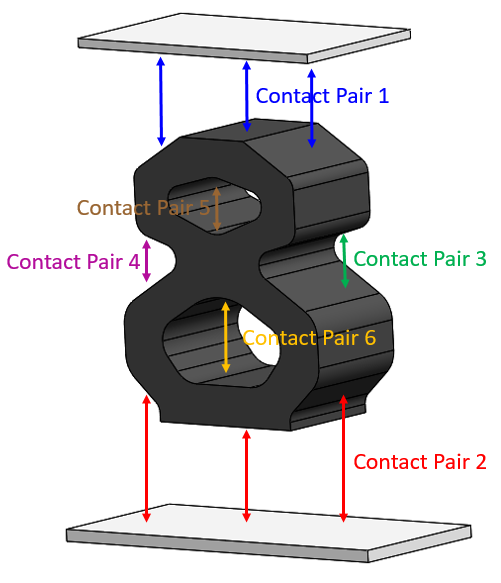 Figure 4 shows a Contact Pair being generated using the Contact Pair method between the top metal plate and the rubber bumper. 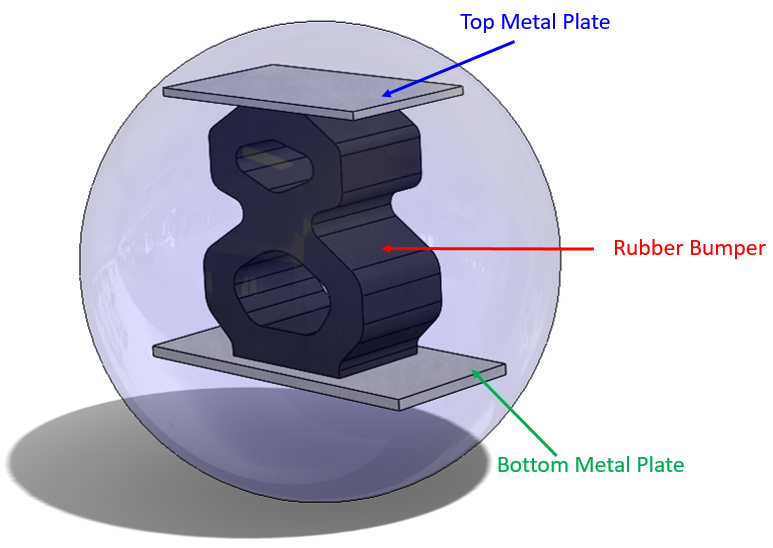 For this simulation model, we will need to define a Contact Pair between the bottom plate and the rubber bumper and other Contact Pairs to include all surfaces of the rubber part that will self-contact with each other as illustrated in Figure 3. General Contact is an efficient way to get the software to find and determine where contact occurs. General Contact will save you a ton of time, especially when working with models that have many complex contacts. Another benefit is it will increase the accuracy of your model. This is particularly helpful when models are going through large deformation, large strain or when they are self-contacting. An example of self-contact is shown in Figure 5 where, using General Contact, users don’t have to predict, select and organize which surfaces will come into contact with any other surfaces before running the analysis. 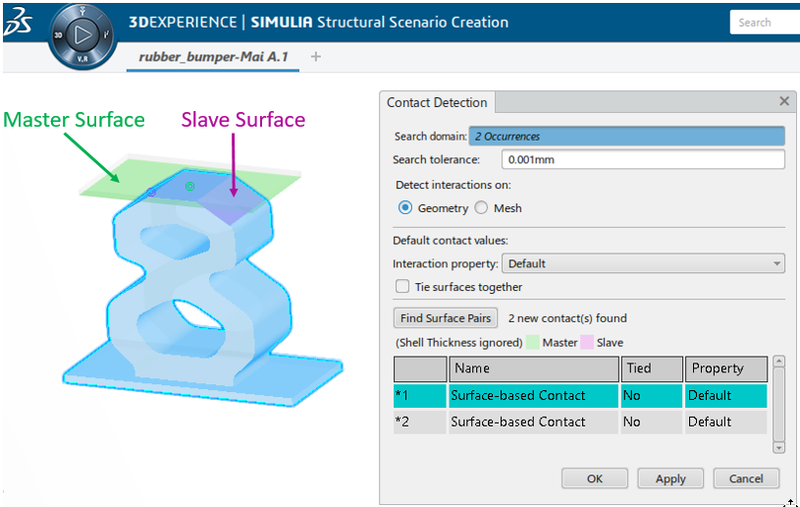 General Contact in Structural Simulation Engineer allows for a highly automated contact definition, which makes users much more productive. However, there is often a trade-off between ease of defining contact and analysis performance. To find out more about Structural Simulation Engineer click here! Mai DOAN is a Product Portfolio Manager for SOLIDWORKS Simulation. She has 20 years of experience in Simulation and Design. Prior to joining SOLIDWORKS in 2014 as a Territory Technical Manager, Mai worked as a Senior Application Engineer for ANSYS with expertise in Finite Element Analysis for more than 8 years. Before that, she developed her real world experience by designing mobile devices with an emphasis on Simulation for High Tech companies such as Siemens and Novatel Wireless. She holds Bachelor and Master's degrees in Mechanical Engineering, and speaks English, French & Vietnamese fluently.